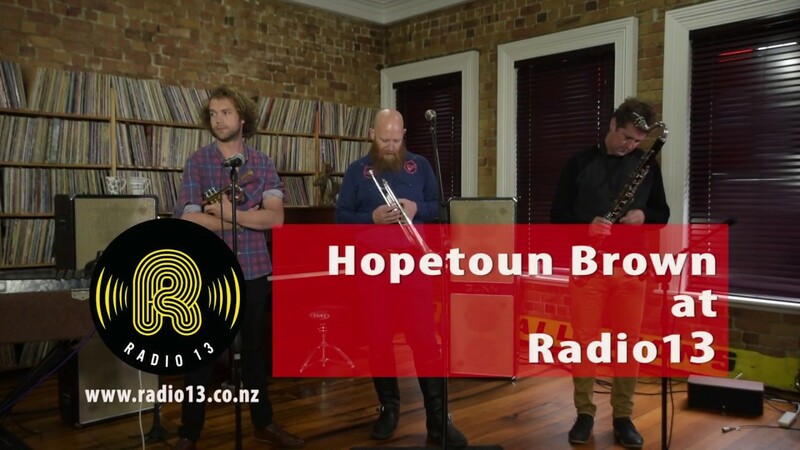 Radio13 - Watch: Hopetoun Brown Play at Radio 13! Watch: Hopetoun Brown Play at Radio 13! Tim Stewart and Nick Atkinson, collectively known as Hopetoun Brown, brought along their trumpet-blowing buddy Finn Scholes (Carnivorous Plant Society) to the Radio 13 Studio for a few songs and talk to Marty Duda. For this visit, the 'expanded version' of Hopetoun Brown featured two songs from the group's new album, Don't Let Them Lock You Up. The trio also reached back into the band's catalogue for a third tasty number. Written By: Radio13 Home to people who love music.